Wicked; an organization that is trying to find a cure for the flare, has stolen Thomas’s memories and has been controlling him for most of his life. Thomas finally realizes that the time for lies is over. He is sick and tired of Wicked controlling and watching him every second. He has risked his life for them in their insane trials and he has encounter the death most of his friends. Wicked concepts of finding a cure for the flare seems way out of reach as many more people are going insane from the flare, but they say their blueprint for the cure is just a step away and all they need is Thomas to undergo one more test. What Wicked doesn’t know is that Thomas has figured out and remembered some things about them that they thought he would never remember. Thomas understands that Wicked is dangerous and that Wicked needs to be stopped at all cost, but is it possible? The Death Cure is a breath taking, action packed novel that always leaves you hanging at the edge of your seat. Every chapter of the book grabbed me and kept intriguing me to read on and to know what outstanding events happen next. 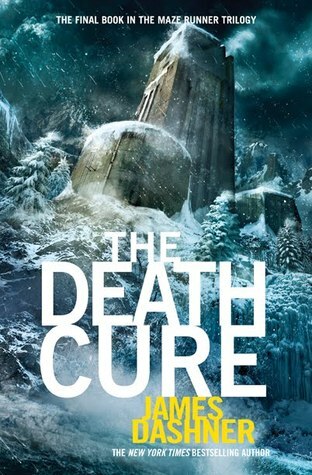 Reading The Death Cure and the other two books leading up to it was like watching a vivid movie in my head. James Dasher created a perfect, fast paced story that balanced love and action, while at the same time creating a terrific adventure with many tricky twists. I felt like I was Thomas from the beginning and I was always part of the wonderful adventure. The character development could have been better through out the book though because even when I finished reading all the books I still didn’t know what some of the less important characters looked like. They also seemed relatively the same, but without that minor flaw the book was still amazing and the world where it took place blew me away. I would recommend this book to teenagers that love books that draw you in and books that have an action packed adventure that drifts into many plot twists. You have chosen a very appropriate background for your blog. I wonder if you could think of a more personalized title? I am looking forward future posts! Great start! Wow great blog! You put a lot of effort and thought into all of your reviews. I really like your title, why did you choose it? Your background does not really suit your personality but it is still great! I read this book and I really liked it. I agreed with you that the book needs to have better character development because he does not really talk or describe some of them. Great job!